This weekend along with spending time with friends and other loved ones, as a Christian I will be remembering the origin of the holiday and celebrating the resurrection of Jesus! It is a time for me to reflect on the love God has for me through the sacrifice of his son, that I may live a full life. Woah. For those who celebrate other religions or not fussed with all of that I am sure the holiday has other connotations to you but let us all take a moment to be thankful for those who have helped us in life, take a step out from our busy lives to remember the sacrifices everyday folk have made for us in the hopes that we have better lives and think about how we can be that towards others too! Pop by the Pop up! This weekend you will find me at the Benjart Clothing pop up store in Wembley Retail park opposite the Stadium. The boys will be selling their products in person, products usually only found on their online store www.benjartclothing.com. There will be caps, hoodies and tees, plus early availability of some of their new pieces. 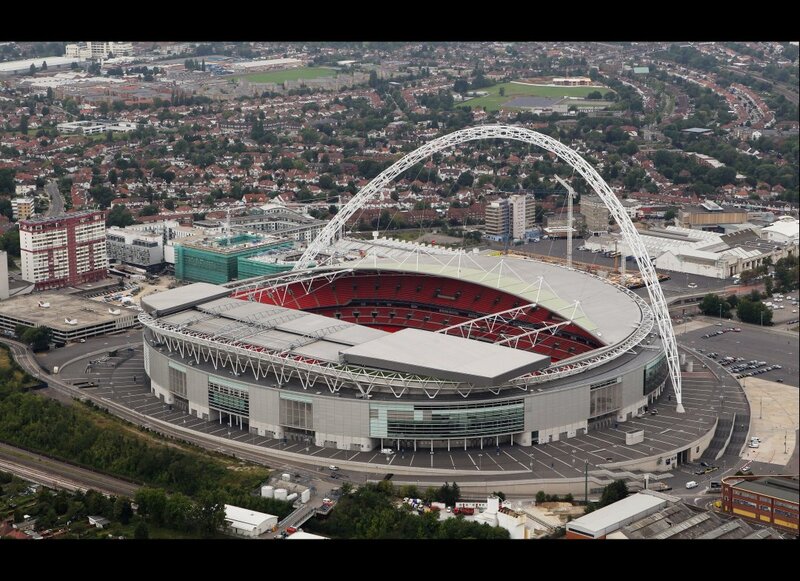 If you are coming the nearest tube is Wembley Park! Whoop! Oh Robyn. What a pretty penny you are. I am not shy to declare my love for the 'curvier' figure being celebrated in commercial fashion and in publications, and I am delighted that model Robyn Lawley gets good exposure. This spread from Aussie Cosmo showcasing the model's personal style just confirms her beauty in my eyes. Bright colours, pretty sweaters and body con printed dresses one would think this is my closet! I am slightly coveting that Mary Katrantzou dress above, and I probably would wear it everywhere too, including when doing my dirty laundry. I love Cornwall. It is such a Magical place, and even more magical because of the people I know from there. My friend Jo is the English Rose in our United Colours of Benneton group of friends. She is a country bumpkin and it is a blessing that we get to visit her beautiful home town and are looked after by here wonderful parents. We went on walks, ate roasts, drank wine and took loads of pictures while stuck in the mud. England has so many nice places, and this year I am determined to see so much for of it! I have already booked a trip to Edinburgh in a few weeks which I counting down the days until and be sure to be bombarded with pics galore too!! Pretty neato still above, isn't it? This particular shot is from a video I was in to promote Harvest time for the charity Stewardship; it always makes me smile, as it captures a moment of inspiration. This still inspires me to keep doing what I love. Whether professionally or as a hobby. Last Monday night I attended a lecture held by Johnny Cupcakes founder Johnny Earle. He was discussing the story of the growth of his brand and the tough decisions he had to make for his business to reach where it currently is (hello, Multi Million dollar company). He is 30, own shops internationally and has a loyal and still growing fan base; this is all fruit of him sticking to the truth of his brand and designs, staying independent and mostly staying positive and having fun. I remembered this because the same drugged up induced bliss the poet experiences in the poem is like my life...kinda, sans drugs. He is happy, but dopey. He does not want to experience the sting of pain, but in that he does not experience the beauty of the flowers. I know many people around me including myself are chasing dreams but we also want safety. This is sad to see as the fear of failing is so embedded in us that we miss opportunities because success is not guaranteed. However, what keeps me optimistic is when I am presented with examples of people enjoying the 'beauty of the flower' after their sacrifices and moving on from their failures. The power of failure is diminished when you see that it is only a mere stepping stone to try and move on from, knowing not to step there again, and that it is not your final destination. Minus losing your home, going to jail or dying what other failures are there that can really stop us in life? (even losing your home and jail is not the end of the world) that the circumstance will never change for the better at some point? I equally have many friends who show this and I admire them so much for doing so. The ultimate joy I see them have diminishes the little setbacks they have here and there. Ultimately it is hard but I think it is the only way to really feel that full joy. I am not limiting this to just career and work, it can even be relationships too. Turning this all back to how it affects me is to basically remind myself that creating clothes/visuals is what makes me happy, and I should give more time to it. It does not feel like work when I am in the zone, even if it is time consuming. The effort to really produce something fantastic can be hard, testing and requires a lot of work which tests me as naturally I am quite complacent and indolent. But in reality I never feel as much fulfillment or joy as when I have completed a project I am proud o,f and that I can't argue. So I hope in all you do, take this is mind, success come with time and investment. And though everything in life is a balance a wise person told me once, 'You can have it all, just not all at once'. I know this is an old shoot but how freakin gorgeous are these beautiful ladies?!? Models Jourdan Dunn, Jasmine Tookes and Anais Mali look like the perfection in this Vogue India spread shot by Emma Summerton. Sleek hair, mixed prints and nods to the Safari they look like society girl triplets on holiday, sisters you would be jealous of basically. Obviously Jourdan is super prolific but it is nice to see Jasmine and Anais holding their own too and then some. The bottom two pics and outfits are my personal fave; cocktails on the left and summer wedding inspiration on the right. Lush. YYeeeaaaahhhhhh Boiiiii, the sun has been making appearances and I have worn ballet pumps sans socks two days this week now. Now, that makes me happy. With the new sunny season coming our way (hopefully) it is good to see that prints of the tropical colourful nature are still in full swing and that I too can whip out my fave tropical shirt that has been hiding in darkness since September. The Catwalk was filled with designers such as Issa and Clements Ribeiro adorning their models in bright hues and airy cuts, and the high street too has followed suit with old faithfuls Topman, Asos and River Island producing basics such as shirts and skirts with tropical prints. If you are not ready to go the whole hog then small accents of the Island living nature can be done with kicks like the set from Vans or rimmed caps like from my boys Benjart Clothing. Go on, give it a go!